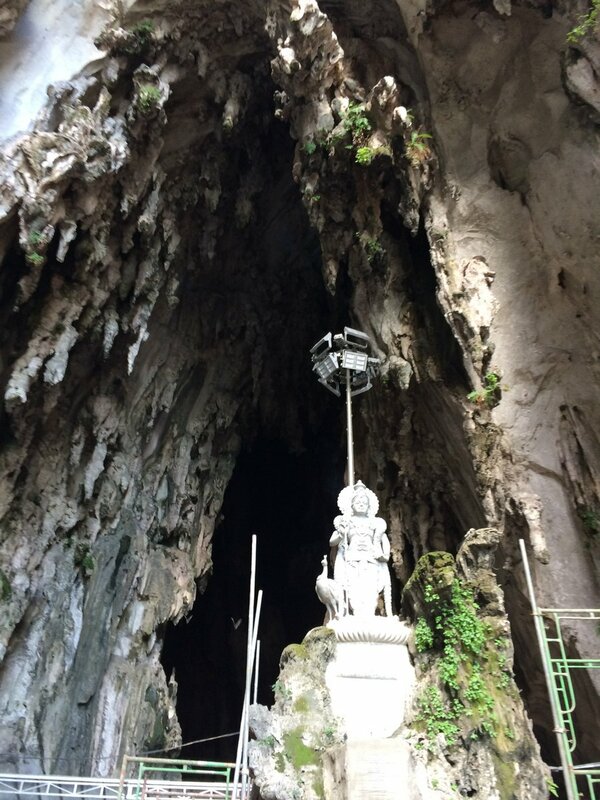 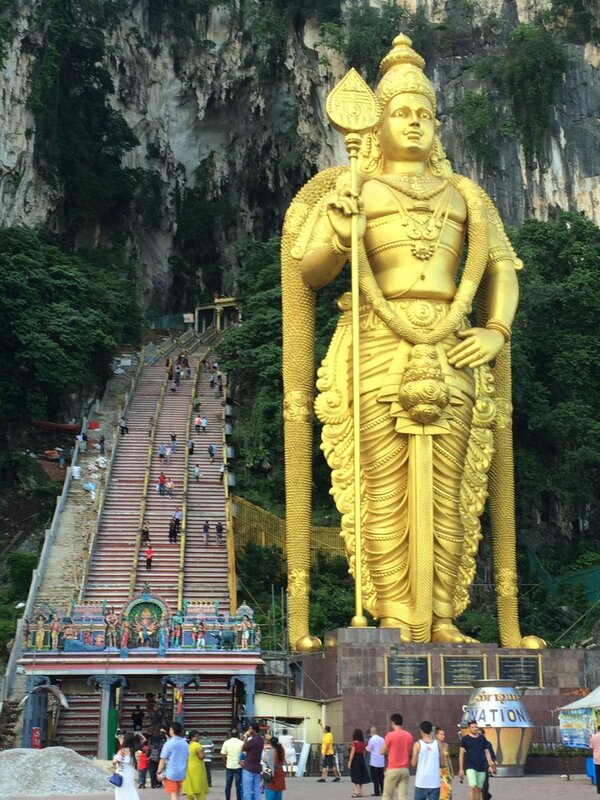 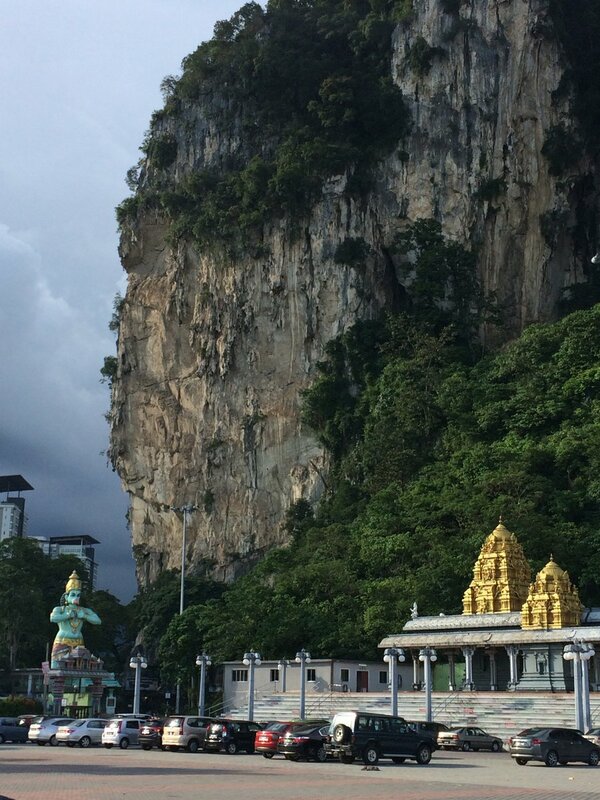 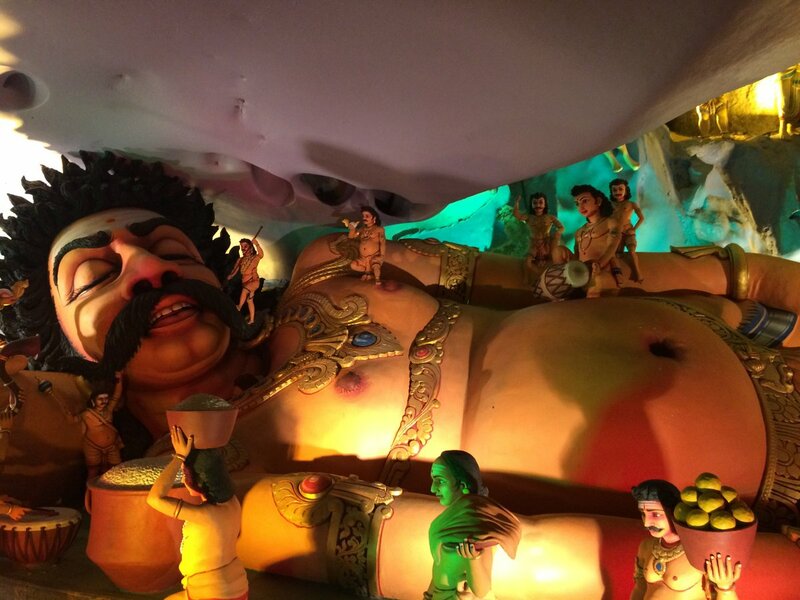 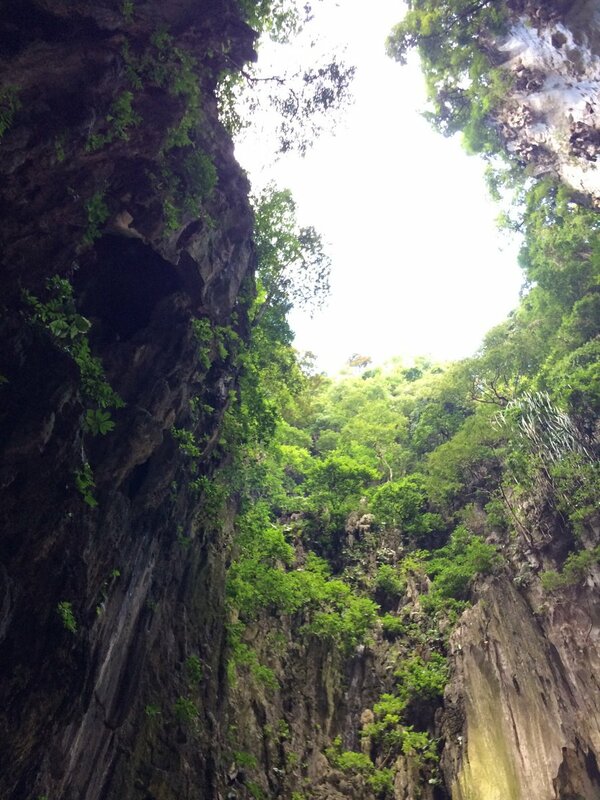 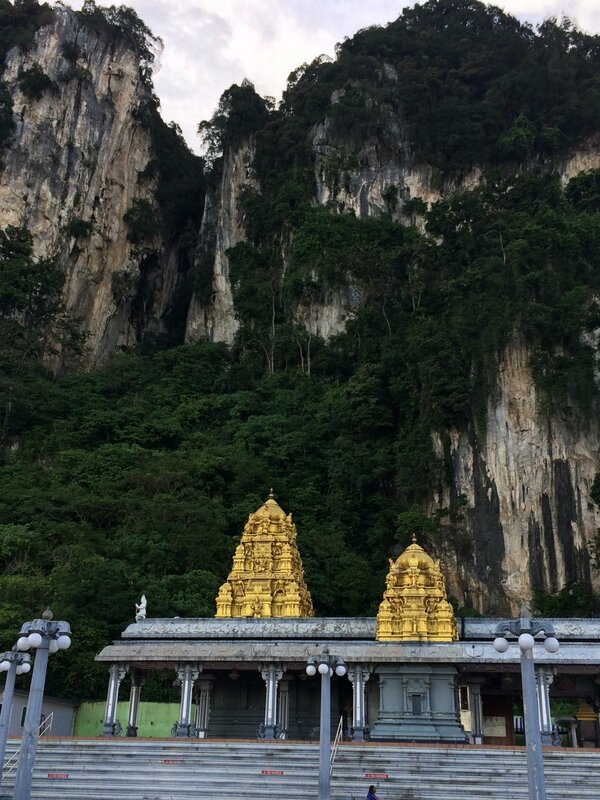 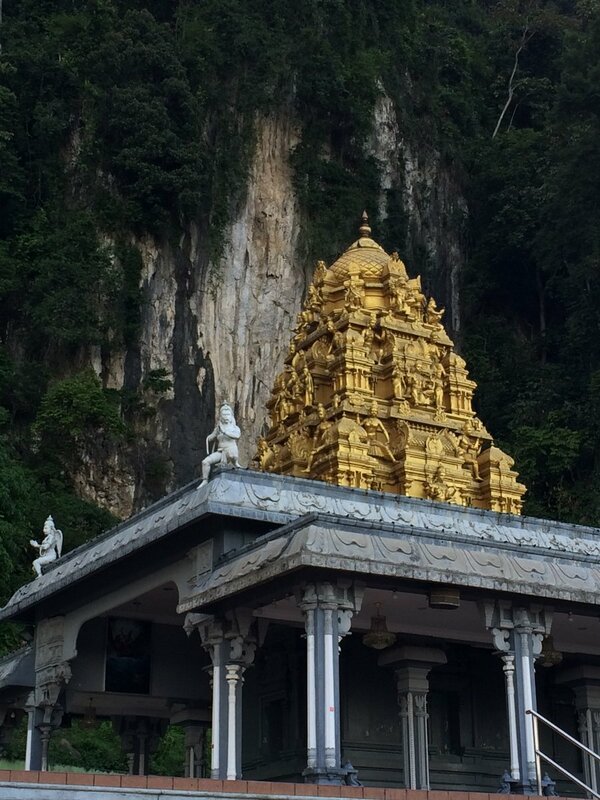 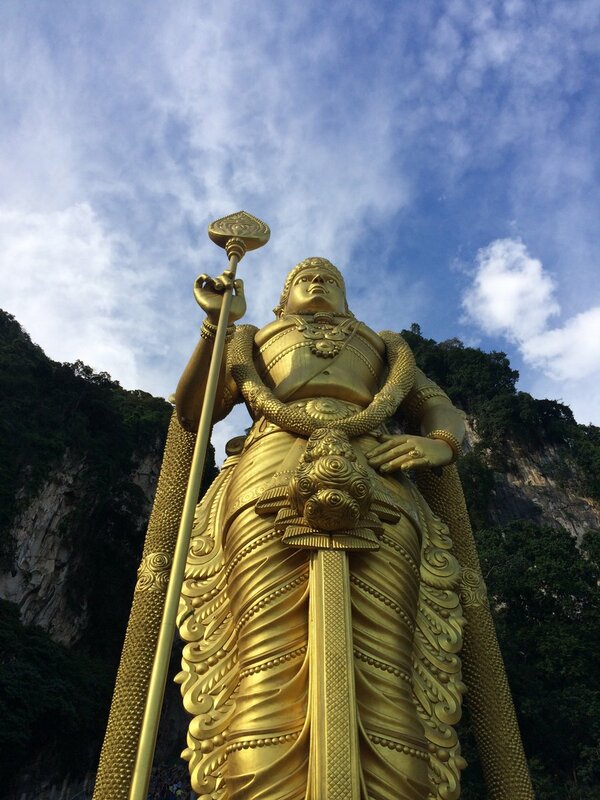 Set in the ancient limestone hills of the area is a series of large caverns, wherein lies a Hindu shrine dedicated to the Lord Murugan (God of War). 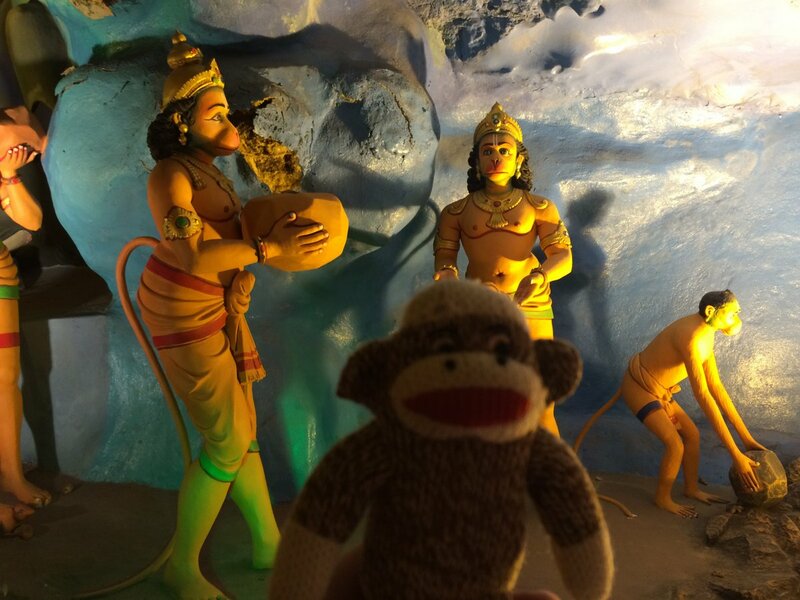 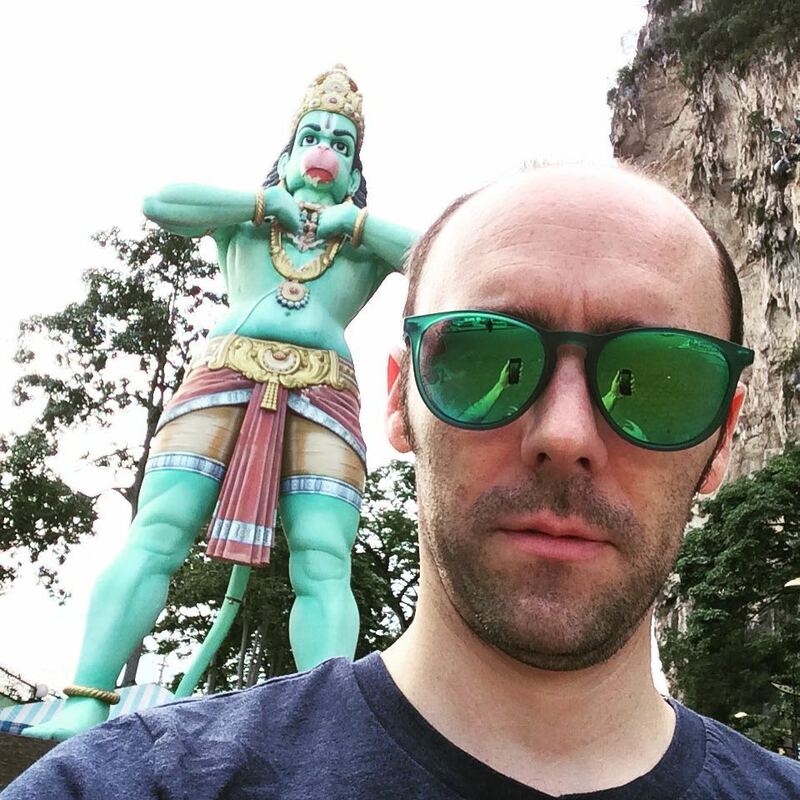 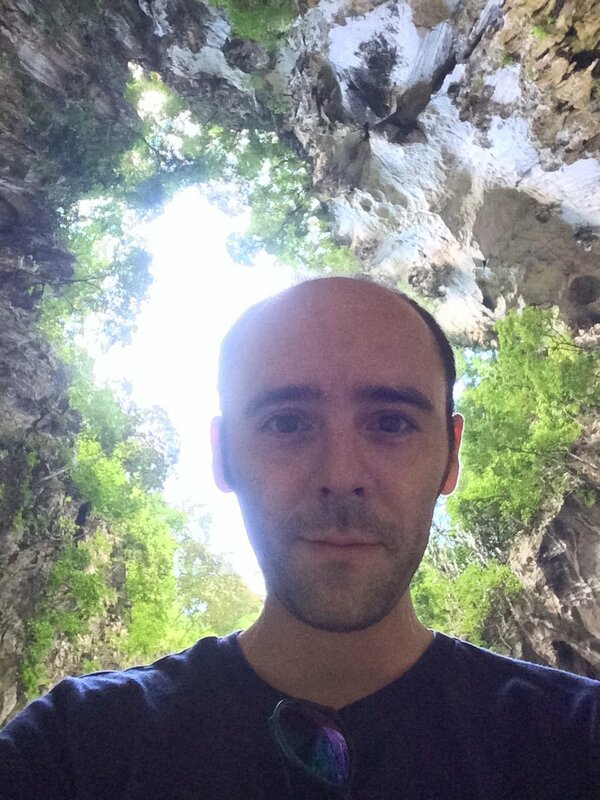 To even things out, I suppose, there is also a cave dedicated to Haruman, an immortal monkey who represents Humanity and Protection. 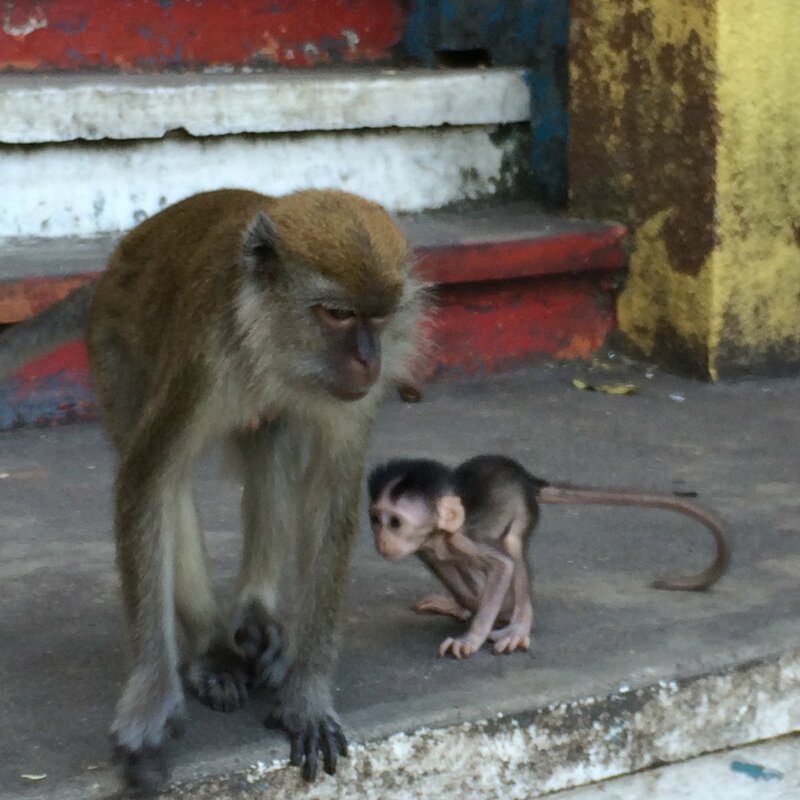 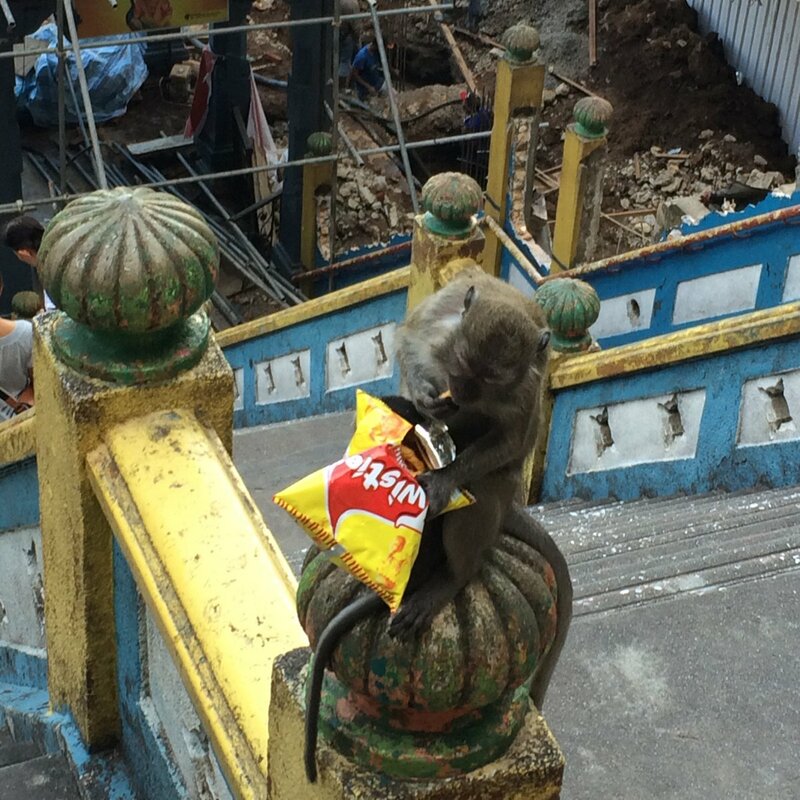 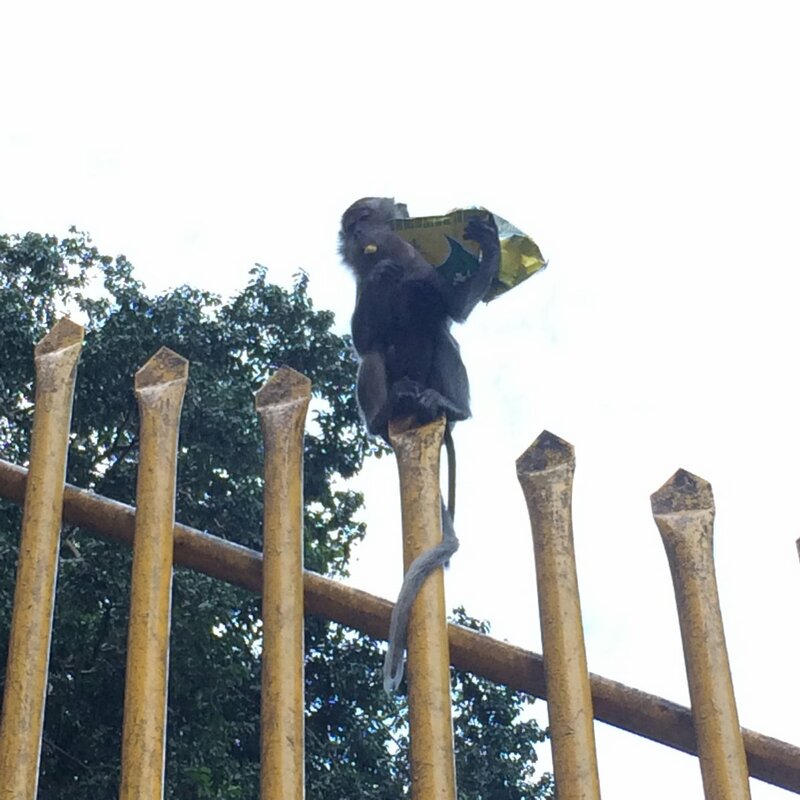 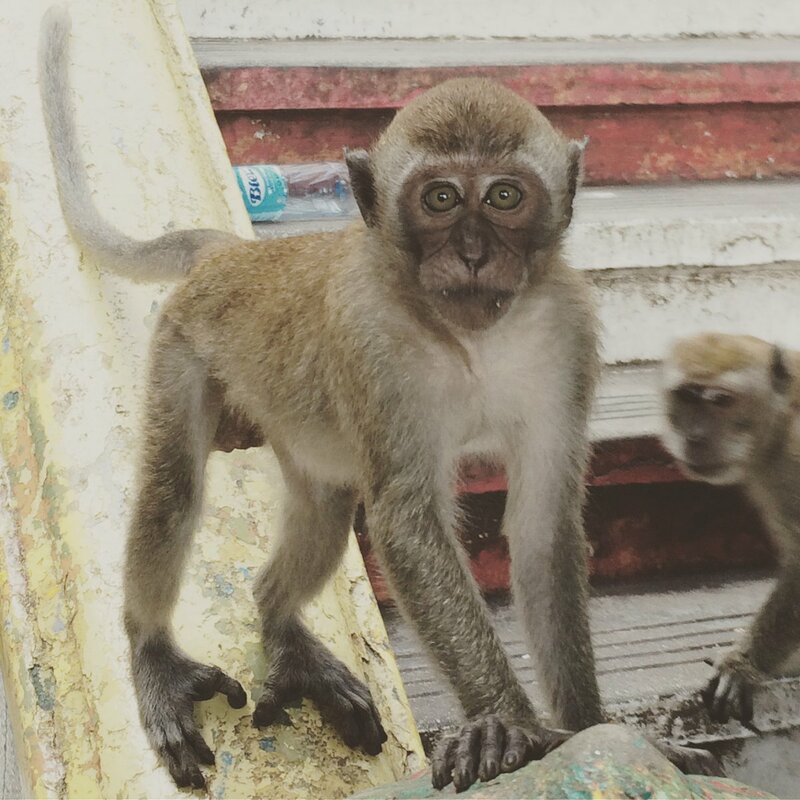 There are also real monkeys strolling around the place (this is clearly their home, and we are the visitors), who will steal your food and water if you aren’t careful. 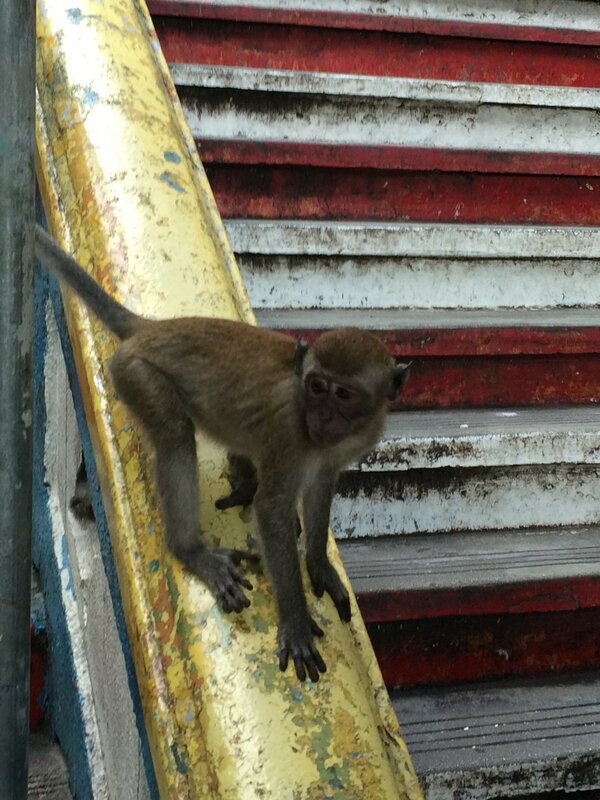 Or you could buy a bag of mangosteens and toss them to the monkeys, who will gladly catch and eat them.